I read these books in April and May and decided to review them as a series instead of separately, because honestly I don’t think I would want to review them by themselves. To start off with, Love is a disease. That’s a great concept and is what caught my attention and made me read the book in the first place. The first book is told in first person from Lena’s point of view. She is counting down the days until she gets cured from ever having to deal with the disease that is “Love”. And everything was going good, until on the day she was to take a placement test for her future spouse, she saw a boy. An Invalid, someone how no longer exists in the government system and lives in the Wilds. She can’t stop thinking about him and wondering who he was. Her best friend, Hana, is a girl that is bound and determined to experience as much of life as she can before her cure. This means going to illegal parties and dancing and being close to boys. As the book goes on, Lena finds the boy again, except he is a security guard. They get close, but only as close as you can get while being cured, for the boy at least. As the book goes on we find out more and more about what is really going on. In book 2 Lena has escaped from Portland and at the cost of a beloveds life. This book switches between the past, aka what happened immediately after she left Portland, to the present, aka her infiltrating a city with the group of people that helped her get better after running through the woods and nearly killing herself from exhaustion and dehydration. The book itself was ok. I still didn’t care for it much. Lena falls for someone else. They get taken and have to escape. At the end of the book the person she thought was dead was not…but he was different. Finally in book 3 it is told from Lena’s perspective and Hana’s. At this point Lena is with people trying to plan a way to get into Portland again, and they come up with a pretty good one. Hana is counting down the days until she is to be married. At this point she is already cured, but has noticed some things that shouldn’t be happening are. As the book progresses Lena just has one goal in mind. To save her little cousin that got left behind when Lena left the city. Yes her cousin had her parents, but because of Lena they were shunned and no one would do business with them. Hana realizes that she doesn’t want this life and tries to think of how to get out of it. And there is none. Until Portland gets invaded and the people want to kill her new husband. She takes this chance to leave. Lena finds her cousin. And that’s how the book ends. One thing that really pushed me over the edge that I didn’t like was the fact the POV changed. Every. Single. Book. I mean, if the book had been told from solely 3rd person it would have been fine. But the entire book series is told from 1st person and I just couldn’t stand it. Also. The ending. That was not an ending in my opinion. I feel like there should have been at least one more full book. 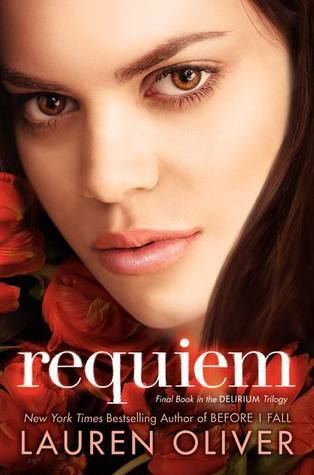 This entry was posted in Book Review and tagged book, book review, book reviewer, books, delirium, dystopian, lauren oliver, pandemonium, requiem, review, reviewer, young adult. Bookmark the permalink. I read the first two books in this trilogy, and I was also disappointed in them. The changing POVs made the story feel too disjointed. Glad I wasn’t the only one who thought so! Have you read Before I Fall? 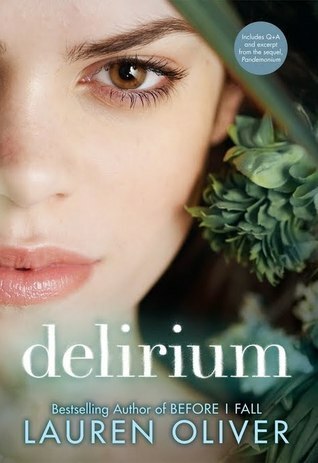 I think it was Lauren Oliver’s first book, and I thought it was way better than the Delirium trilogy. I recommend it. Also if you ever want a laugh, find some of the clips of the pilot of the TV show they were gonna make out of Delirium. Obviously it didn’t get picked up, and its pretty clear why from the clips! I have not read Before I Fall. I was kind of nervous to because of how displeased I was with this series. If I ever get to a library I will see if it’s there though. I am going to watch the clips right now! I couldn’t even finish the first book, which is really rare for me. Yeah. The series didn’t have a strong start, but compared to the other two books, the first annoyed me the least. Well, I guess it is good I didn’t make it through the first one then. They probably would have annoyed me. I definitely agree that the ending to this series was horrible. It started off promising, but it didn’t really live up to it. And I really disliked Hanna and didn’t care at all about getting her POV.